Craig Widdison got off to the perfect start from his new base at Wodonga as Murdoch’s Joy stormed home to take out the Cootamundra Cup (1600m) on Saturday. Widdison only returned home two weeks ago after striking out on his own. Previously the 37-year-old had been based at Whittlesea, near Melbourne, where he trained in partnership with Peter Morgan for the last four years. The former Brian Cox-trained galloper Murdoch’s Joy was his first runner and it couldn’t have panned out any better. Jockey Michael Heagney was able to position the nine-year-old just off the speed before finding room in the straight. After taking time to find his stride in the run for home, Murdoch’s Joy accelerated to take out the $25,000 feature. Rated a $6 chance, Murdoch’s Joy went on to defeat Moroccan Ruby ($4.80) by three lengths with Peter Clancy’s Zarreig ($18) a further neck away. Widdison was impressed with the effort. “They run a fast time, the track was fairly firm, and while he is an older horse I thought he did a good job,” Widdison said. “He needed up coming away and winning pretty soft in the end. 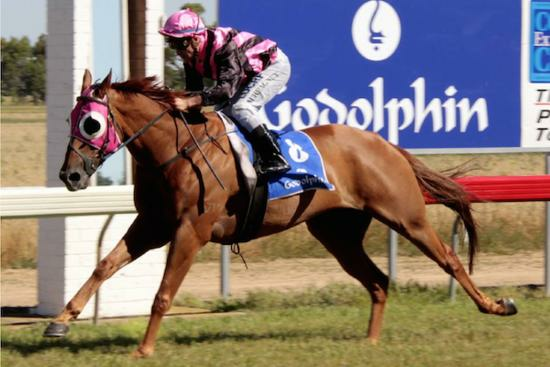 The win continues Murdoch’s Joy fine form in country cups. He was second in the Euroa Cup at Ballarat before running an unlucky sixth in the Wodonga Cup last time out. That effort gave Widdison plenty of confidence heading into his first visit to Cootamundra. “His run in the Wodonga Cup was pretty good, he only got beaten 3.5 lengths and got held up pretty bad a couple of times,” he said. Murdoch’s Joy is one of five horses Widdison has picked up from the Cox stable, after the Wodonga trainer was disqualified for three and a half years last month. The 37-year-old is only working a small team, but said it could soon expand to 25 horses if he is granted permission to takeover the training facilities previously occupied by Cox. The victory ensures Murdoch’s Joy will be exempt from the ballot for the Ted Ryder Cup later this month. Widdison said the feature at Murrumbidgee Turf Club was on the agenda. “All being well, and he seems to have pulled up great, we will definitely have a lot at that,” he said. While the Victorian won the feature, Wagga trainers Scott Spackman, Gary Colvin, Chris Heywood and Ron Stenier all tasting success.